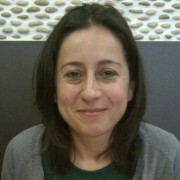 Lopez-Fernandez, O. (2016). Short version of the smartphone addiction scale adapted to Spanish and French: Towards a cross-cultural research in problematic mobile phone use. Addictive Behaviors. In press. Lopez-Fernandez, O., Honrubia-Serrano, M., Baguley, T. & Griffiths, M.D. (2014). Pathological video game playing in Spanish and British adolescents: Towards the exploration of Internet Gaming Disorder symptomatology. Computers in human behavior. Accepted paper. Lopez-Fernandez, O., Honrubia-Serrano, M.L., Freixa-Blanxart, M. & Gibson, W (2013). Prevalence of Problematic Mobile Phone Use in British Adolescents. Cyberpsychology Behavior and Social Networking, 17(2), 91-98. Lopez-Fernandez, O., Honrubia-Serrano, M. & Freixa-Blanxart. M. (2012).The Problematic Internet Entertainment Use Scale for Adolescents: Prevalence of Problem Internet Use in Spanish High School Students. Cyberpsychology, Behavior, and Social Networking. 16(2): 108-118. Lopez-Fernandez, O., & Molina-Azorín, J.F. (2011). The use of mixed methods research in the behavioural sciences field. Quality & Quantity, 45(6), 1459-1472. Lopez-Fernandez, O., & Rodríguez-Illera, J.L. (2009). Investigating university students’ adaptation to a digital learner course portfolio. Computers & Education, 52, 608-616.